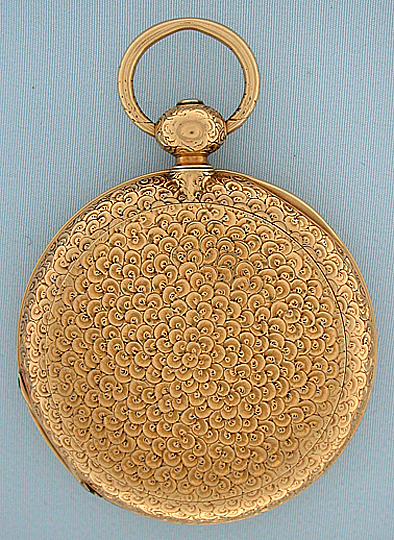 Fine, scarce and beautiful Swiss 18K gold convertible ruby duplex antique pocket watch by Matile, Locle circa 1854. 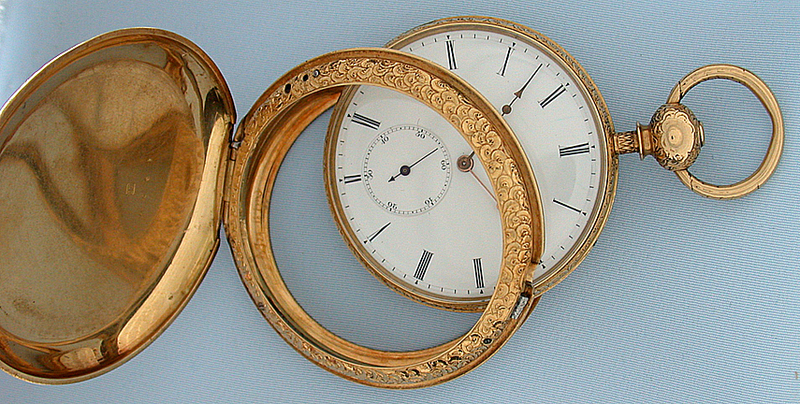 This watch can be worn as open face or hunting case. 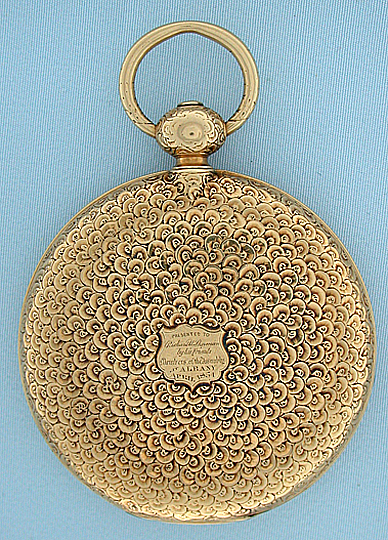 The substantial case with unusual and most attractive overall floral engraving, the cover with a tiny shield with tour de force engraved presentation. 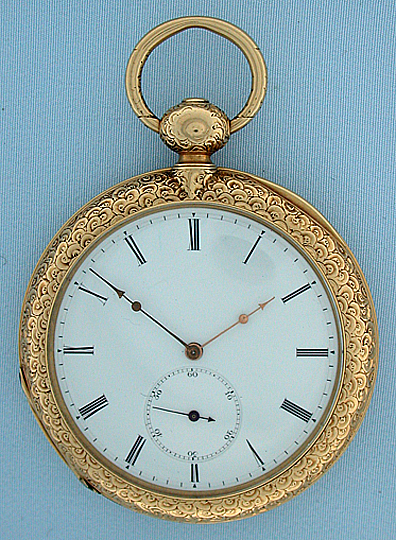 White enamel dial with gold hands, one faded. 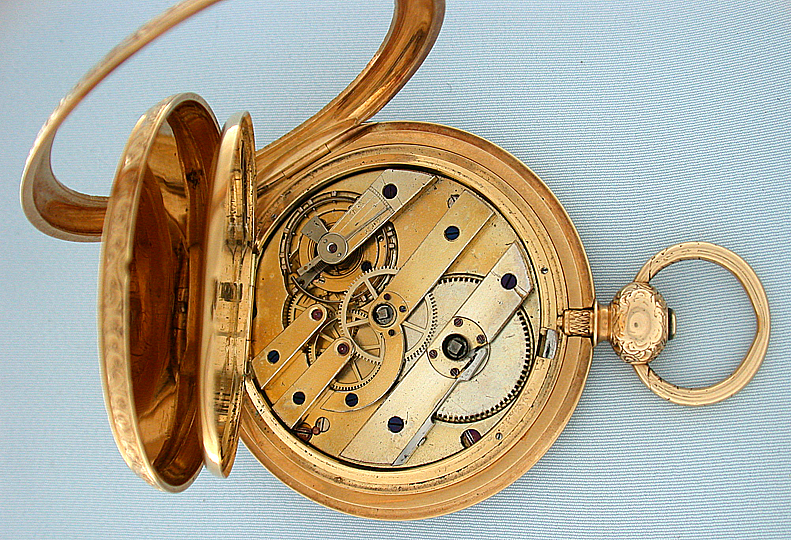 Gilt 12 jewel bar movement with ruby duplex escapement. 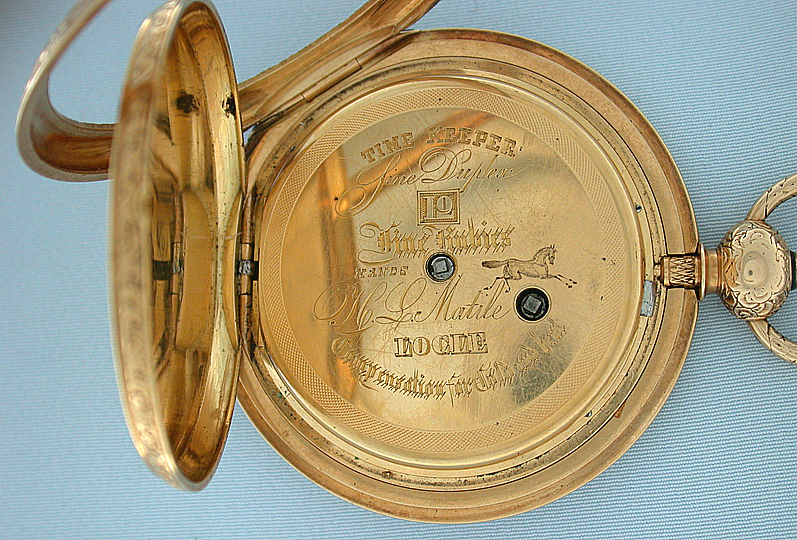 Dust cover with some key scratches. 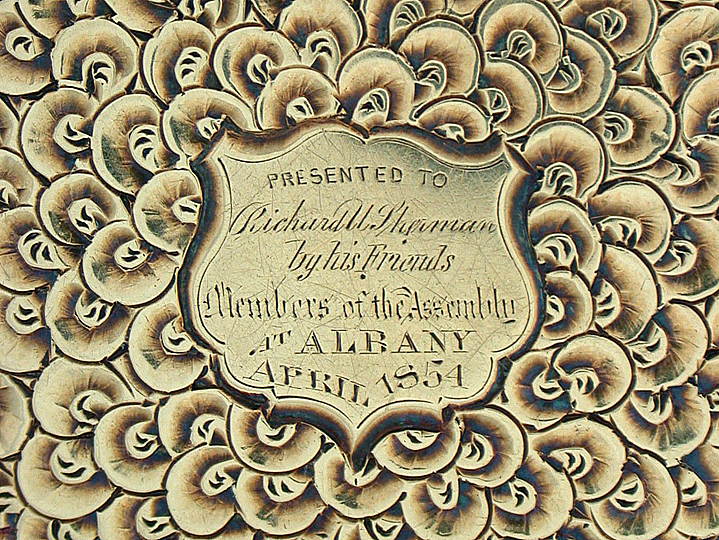 Richard U. sherman was a member of the New York State Assembly and Assistant Clerk of the House of Representatives. 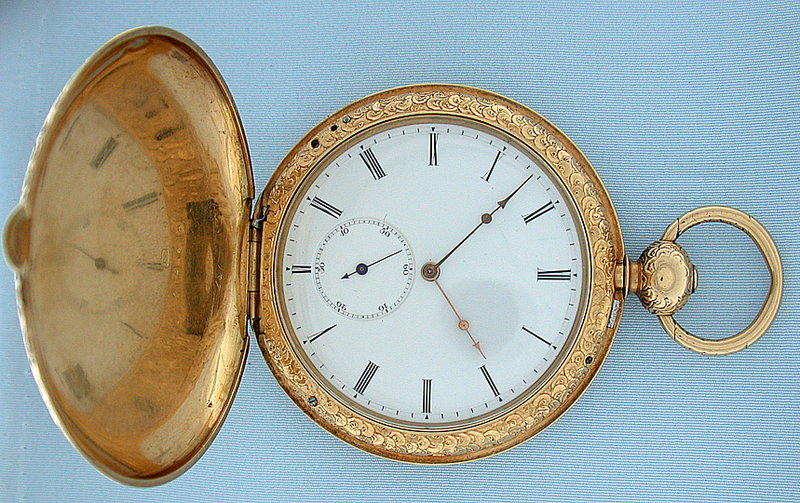 His son, James Schoolcraft Sherman, was a representative from New York and the 27th Vice President of the United States.